I am proud to share that today’s post for heavenly Chai Creme Brulee is sponsored by Horizon Organic. The thin layer of crisp burnt-sugar caramel sits on top of a velvety and smooth custard redolent with cinnamon, nutmeg, cardamom, and other spices; it tastes just like a caramel chai latte, making it the perfect way to celebrate my partnership with Horizon Organic and National Caramel Day. We do not eat dessert every night at our house. I try to encourage the boys to make healthy sweets choices like fruit or a smoothie most nights. There are some nights, though, that just plain require dessert. When those nights come calling, I want to make a dessert from scratch out of the most wholesome, basic ingredients. 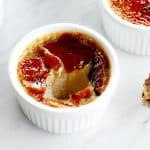 It’s hard to get much more soul-soothing, delicious, and loved by my kids and my husband and I than Chai Crème Brûlée. 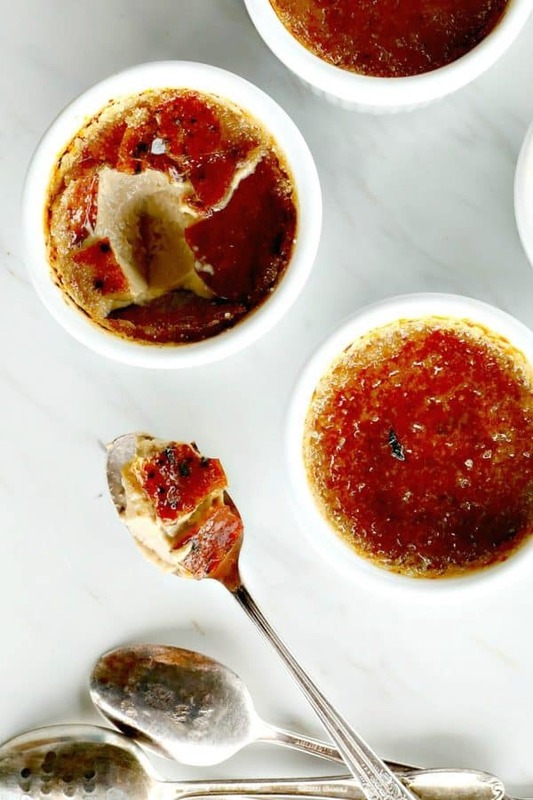 Creme Brulee is basically custard and custard is one of the original comfort foods. It may be a sweet, but it’s a nourishing one for heart and body with its simple construction of milk, cream, and eggs; just lightly sweetened. 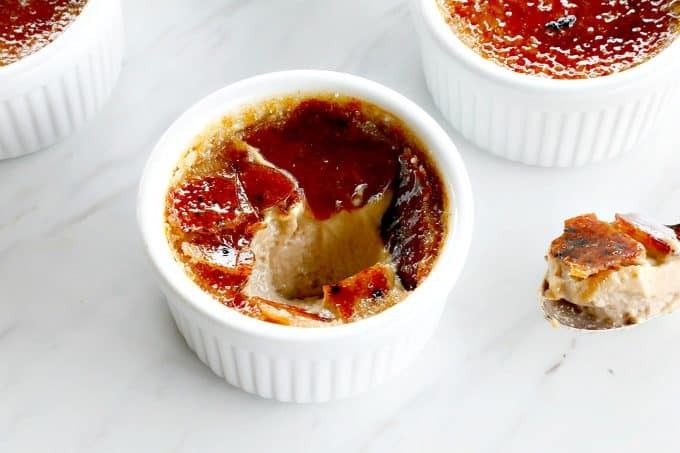 This creme brulee takes a little left turn from normal into unique territory with the addition of infusing the milk and cream with your favourite chai tea. It’s not as wacky as it may sound at first; if you love chai lattes, you’ll love Chai Creme Brulee. The chai tea infuses the dairy with cinnamon, nutmeg, cloves, cardamom, and a whole host of other lovely spices, making it warming like a hug even when the custard is chilled and set to velvety smoothness. The beauty of Chai Creme Brulee is that while it is indeed a dessert, there’s nothing odd happening here; it’s just milk, cream, eggs, a little organic sugar or raw sugar, a vanilla bean, and some tea. No artificial colours, flavours, or anything genetically modified or otherwise engineered. It’s all good honest food. We may cultivate and encourage wild individuality and weirdness in our kids, but we surely don’t want it in our food! Because Chai Creme Brulee doesn’t require many ingredients, I like to focus on the quality of the ingredients I choose. 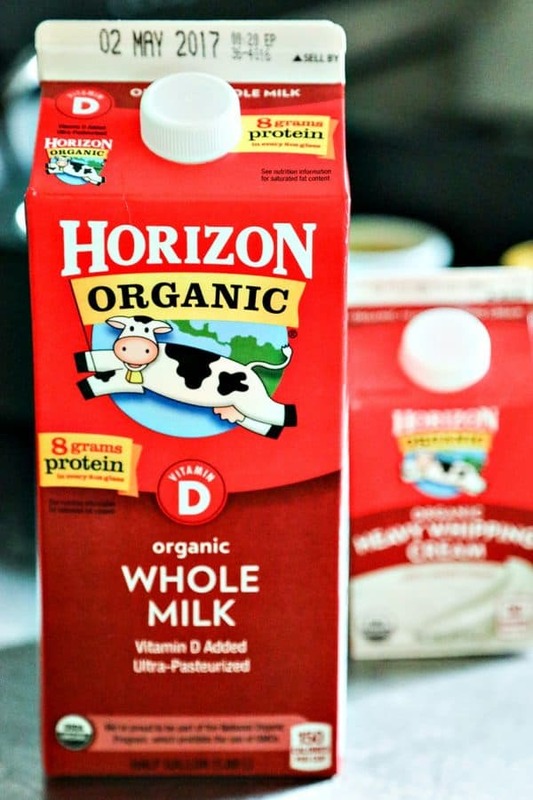 I prefer to use Horizon Organic Whole Milk, Whipping Cream, and Eggs. One company with a whole family of wholesome products that my kids love. Win! I prefer to use a whole vanilla bean to infuse my chai, milk, and cream, but if you can’t find vanilla beans, you can substitute a teaspoon of pure vanilla extract. Please show our sponsor, Horizon Organic, a little love. 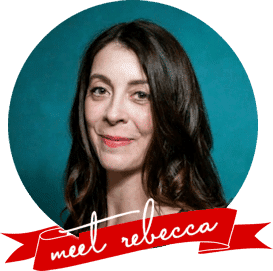 You can sign up for their newsletter or connect with them in the ways listed below. Preheat oven to 325F. Put a large kettle of water on to boil. Stir together the milk, whipping cream, vanilla bean and vanilla seeds, and chai tea in a 2 quart heavy-bottomed saucepan. Place over medium heat and bring just to a boil, stirring frequently to prevent scorching. As soon as it reaches a boil, turn off the heat and cover the pot. Let it steep for 10 minutes. Pour through a fine mesh sieve to remove the tea leaves or bags and vanilla bean. Wipe any sediment from the pan, and return the cream mixture to the clean pan. Place over low heat to keep hot. Beat the egg yolks, sugar, and salt together in a stand mixer fitted with a whisk or with a hand mixer on high speed until thickened and lighter in colour. Carefully whisk in a small amount -about a half a cup- of the hot milk and cream mixture. When that is fully incorporated add the rest of the milk and cream mixture and whisk thoroughly but not vigorously. Divide evenly among ramekins or small jelly jars. 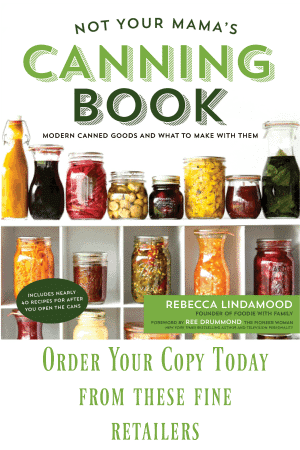 Place jars in a roasting or sided-baking pan that is just large enough to hold them all. Place pan on center rack in the preheated oven. Carefully pour water into the pan, taking care not to pour the water into the custard, until it reaches about halfway up the sides of the custard dishes. Loosely tent the pan with foil and bake for about 45 minutes or until the custard is set on the outside edges, but still a bit wobbly in the center. Remove custard cups to a cooling rack from the water-filled pan. Cover and chill at least 6 hours prior to serving, but preferably overnight and even up to a couple of days ahead of time . Working with one ramekin at a time, sprinkle 2 teaspoons of organic sugar on top of the chilled custard. Rotate the ramekin around to evenly distribute the sugar. Use a blowtorch or culinary torch to melt the sugar, sweeping the flame evenly over the surface of the sugar as it melts and caramelizes. You want it to be deep mahogany brown all over and maybe even blackened in a couple of spots. Let the caramel harden for at least 1 minute before serving. Keep celebrating National Caramel Day and visit all my fellow “Celebrating Food” bloggers posts! Hungry for more caramel? Look at these fabulous recipes! Oh, girl. I want to make these for Easter! How lovely! Thank you so much! 😀 They’re our current favourite dessert! I love chai so much I have a Pinterest board dedicated to it. So consider this recipe…pinned! Also…that crackly topping!!!! We could be chai buddies! 😀 Thank you so much! My goodness you make beautiful food!! oh MAN! the crust on that – seriously perfection! OMG, I want this! Soooo gorgeous! Love that there’s nothing funky going on in this dessert. 😀 Looks healthy enough to me! Maybe I missed it, but could you please tell me how many servings (ramekins) this makes? Looks delicious – can’t wait to try it!